Scotson Hill Farmhouse near Elgin, Highlands sleeps 8 people. Scotson Hill Farmhouse near Elgin is a renovated, detached, former farmhouse which has a peaceful setting surrounded by open fields, yet lies just 1 mile from the Moray town of Elgin. The farmhouse has been equipped and furnished to a very high standard with your every need catered for, and makes the perfect base from which to explore the many attractions and amenities this lovely part of the Northern Highlands has to offer. Elgin is located near the beautiful Moray Firth coastline and enjoys a large variety of shops, bars and great places to eat, along with some historical sites including the ruins of Elgin Cathedral and Elgin Museum – a must see! Visit Culloden Battlefield, Fort George and The Moray Firth coastline, voted amongst the ’top 20 coastal destinations in the world’, and dotted with many picturesque fishing villages and unspoilt beaches. You can meander along the beaches and hopefully catch sight of the Firth’s famous residents, the schools of bottlenose dolphins. The area is renowned for the Malt Whisky Trail, the only one of its kind in the world. There are distilleries to explore where you will be given a fascinating insight into the production of Scotlands most celebrated drink, and be told the story of how water and barley are transformed into ‘the water of life’. Many outdoor activities are available including golf, with numerous courses within easy reach, mountain biking, watersports and sea trips to name but a few. Further afield you can take a trip to Inverness, the Highland capital, Drumnadrochit, a village set on the western shore of Loch Ness, or the bustling town of Aviemore in the heart of the Cairngorms National Park. To the west, a trip to the Isle of Skye is recommended, and northwards you can a take a day trip over the beautiful Orkney Isles. The less energetic can sit back, relax and unwind in front of the wood burner or in the bubbling hot tub. There is a beach 4 miles from Scotson Hill Farmhouse near Elgin. With the shop 1½ miles, and the pub & restaurant are 2½ miles from Scotson Hill Farmhouse. 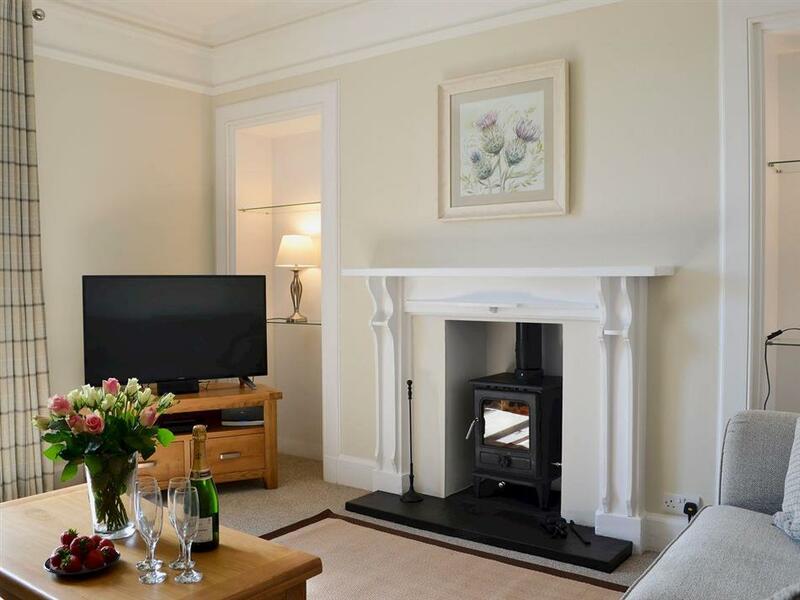 Ground Floor: Living room: With wood burner, Smart TV and DVD player. Kitchen: With electric oven, induction hob, microwave and fridge/freezer. First Floor: Bedroom 2: With king-size bed and en-suite with shower cubicle and toilet. Oil central heating, electricity, bed linen, towels and Wi-Fi included. Initial logs for wood burner included. Travel cot and highchair available on request. Welcome pack. Large lawned garden with sitting-out area and garden furniture. Hot tub for 6 (private). Private parking for 4 cars. No smoking. Holidays at Scotson Hill Farmhouse run from Friday to Friday. For a better idea of where Scotson Hill Farmhouse is, you can see Scotson Hill Farmhouse on the map below. 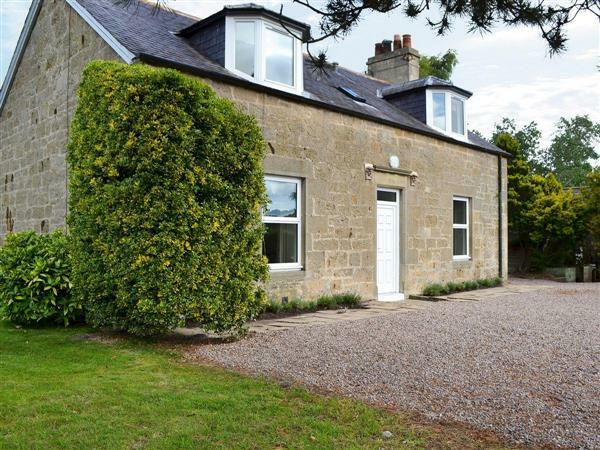 Scotson Hill Farmhouse is in Morayshire; should you be on the lookout for a special offer, you can find all the special offers in Morayshire. It's always worth checking to see what is on offer at the moment. Do you want to holiday near Scotson Hill Farmhouse (UK5538), you can see other cottages within 25 miles of Scotson Hill Farmhouse; have a look to find your perfect holiday location.